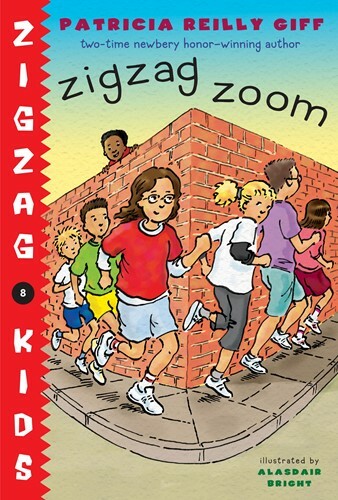 The Zigzag Zebras have been challenged by the Timpanzi School Tigers to a race. They'll have to practice hard. Too bad Gina is a better opera singer than a runner. Ramon has them running all over-in the schoolyard, down Stone Street, back into the gym, down the stairs. They have to win!